Cold brew coffee. Source: Sandows London. 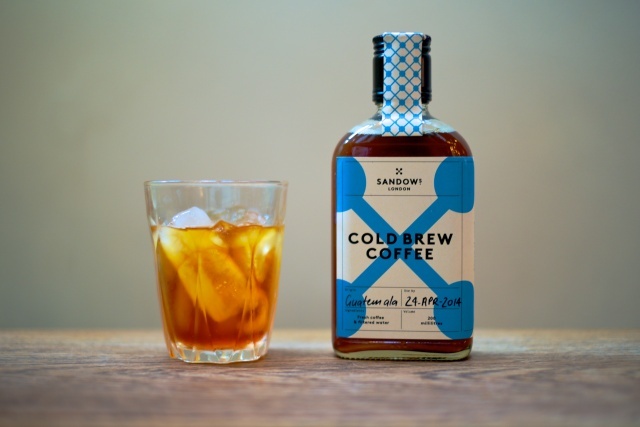 As of this week (22/04) the iconic British cold brew, Sandows London, will be available to purchase outside of the capital. Sandows cold brew at Water Lane Coffeehouse, Canterbury. Source: DWD. Most recently Luke & Hugh launched a tasty collaboration with Fourpure Brewery. The coffee pale ale, Morning Moon, was premiered at Fourpure Brewery HQ last Saturday (18/04), selling over 50 litres in just four hours. 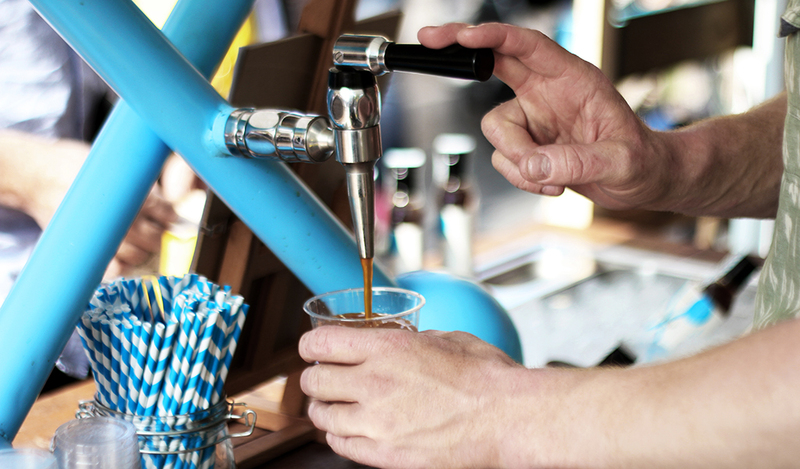 Their exploration into the boundaries of cold brew will continue at this years London Coffee Festival, where they will be serving both the nitrogenated version of their cold brew (currently available on draught at White Lyan, Hoxton Road) as well as cold brew G&Ts. The Sandows bar. Source: Sandows London. To see a full Sandows stocklist, click here. For tickets to this years London Coffee Festival, click here.